It’s COMING! Next week, October 31, 2011, is the release date for my dear friend (I initially typed that deer friend, which is really pretty funny) R.B. 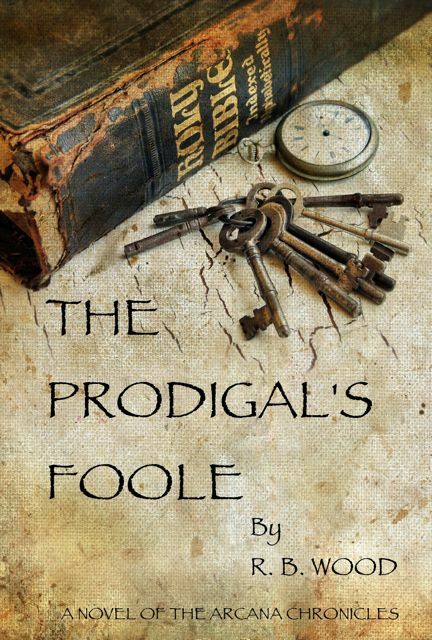 Wood‘s debut novel, The Prodigal’s Foole! We’re going to PAR-TAY! Reviews, interviews, and prizes to be given away throughout the week. So BE HERE! In the meantime, enjoy the awesome book trailer. This entry was posted on Thursday, October 27th, 2011 at 8:30 am	and is filed under Books. You can follow any responses to this entry through the RSS 2.0 feed. You can leave a response, or trackback from your own site. « #5MinuteFiction Week 74 WINNER! One Response to Release Week PARTY!